Add some style to your jewellery wardrobe with these elegant white gold diamond-cut drop earrings. 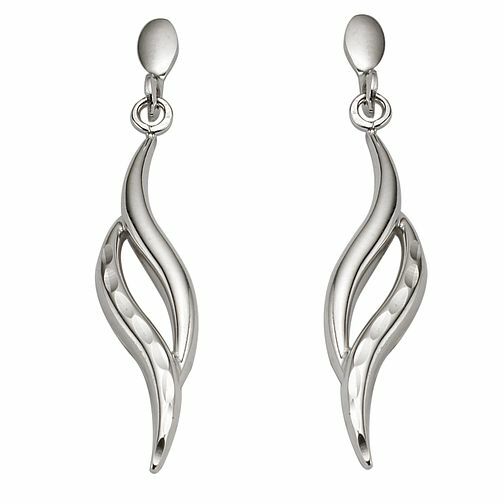 9ct White Gold Diamond-cut Flame Drop Earrings is rated 3.9 out of 5 by 12. Rated 2 out of 5 by Anonymous from A bit flimsy I thought the were extremely light - the reverse side is hollowed out. That being said my partner said she likes them as she doesn't like heavy earrings, though she's probably just being nice. I'm going to stick to silver next time as they seem better quality for the money.